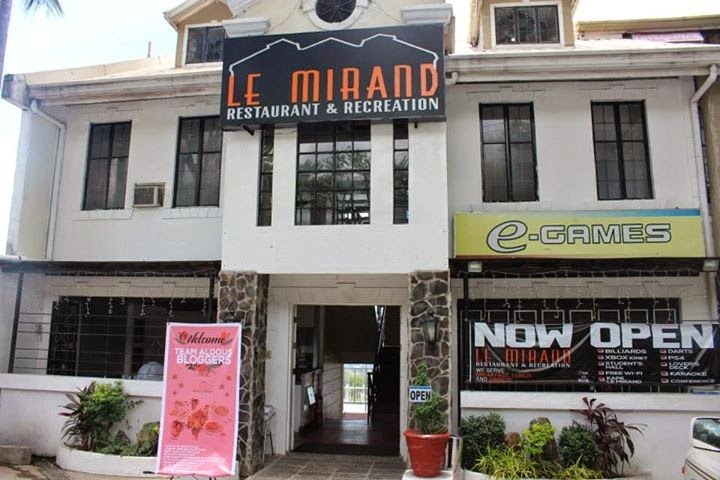 Somewhere along Sumulong Highway is Le Mirand Restaurant & Recreation. It is not that hard to find this restaurant as you just have to look on the right side while going straight and past Cloud 9 and Padi's Point. 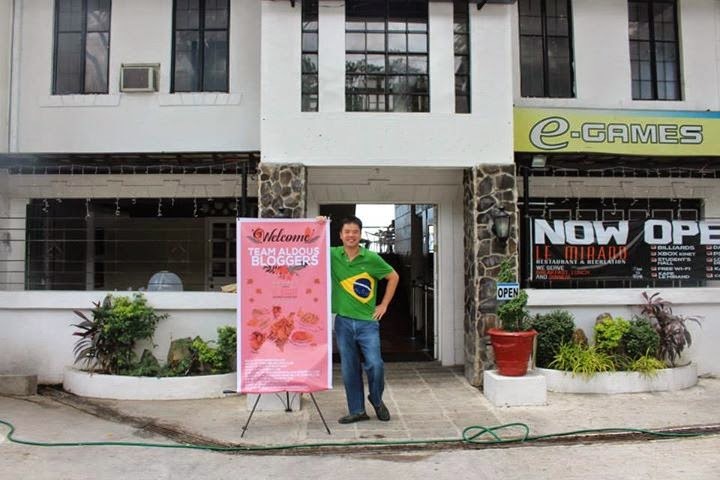 It is a restaurant that also has e-games, billiards, darts and KTV. 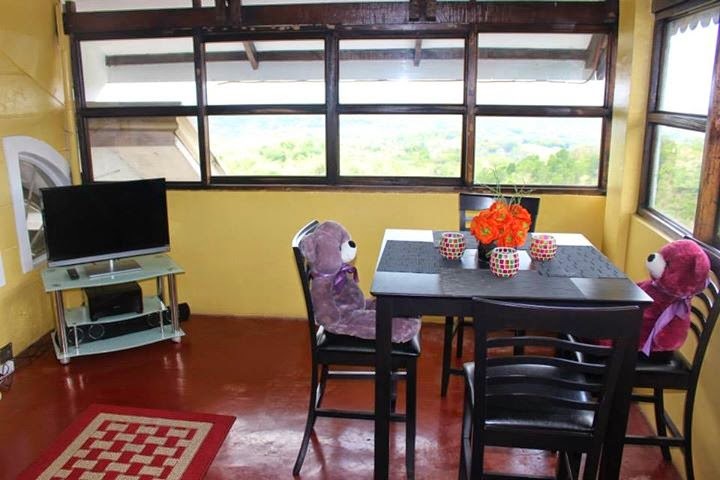 There are a lot of things to do here while enjoying the overlooking view of Metro Manila. Do you want to close that long term insurance deal with a stubborn client? Why not take him for a meeting in Le Mirand's conference room? A relaxing meal afterwards is just what the doctor ordered. Are you going to celebrate an anniversary with your loved one soon? Maybe its a monthsary or even a weeksary? Either way, it would be a good idea to take her to the Lover's Deck of Le Mirand that goes for only P1000 per hour. There is also a ktv in this room so you can sing your theme song. I actually had the Stuffed Eggplant (P200) during my first visit here and I was really glad they served it again. 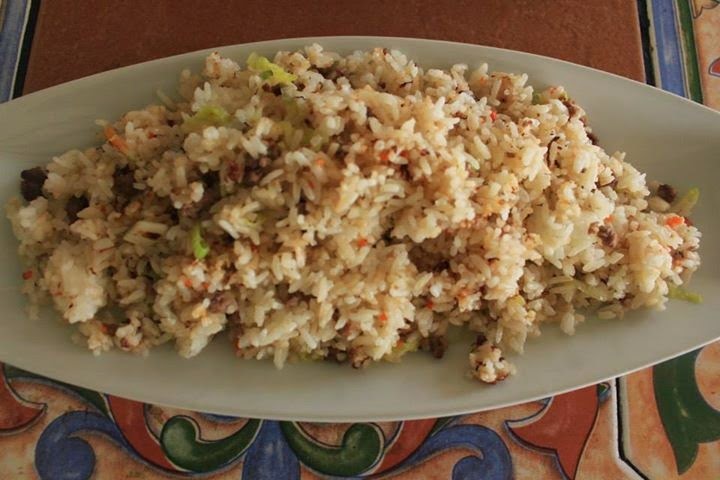 It really went well with the sisig and steak but be a little careful as this dish is hot from the inside. 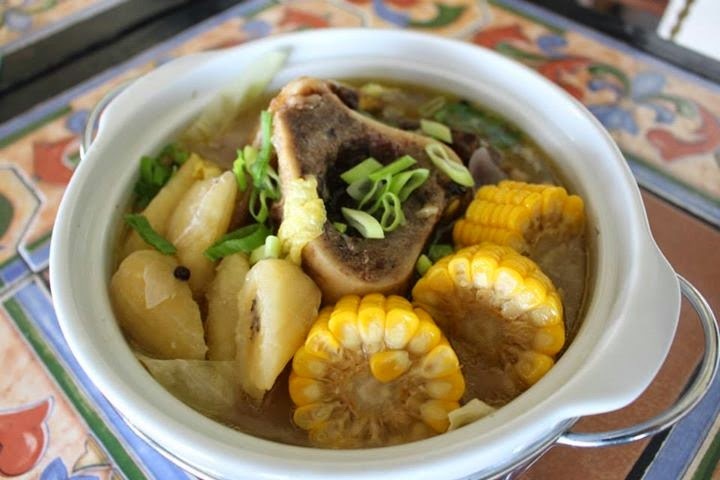 Once the Bulalo Special (P490) came out, we knew this was going to be one special lunch. I loved eating the beef when it was full of fats. Due to the presence of the corn and potatoes, this dish can be eaten without rice which means it is one of those guilt free dishes. It is one of those dishes that I could not resist when I see it on the menu and Le Mirand's version is a keeper. 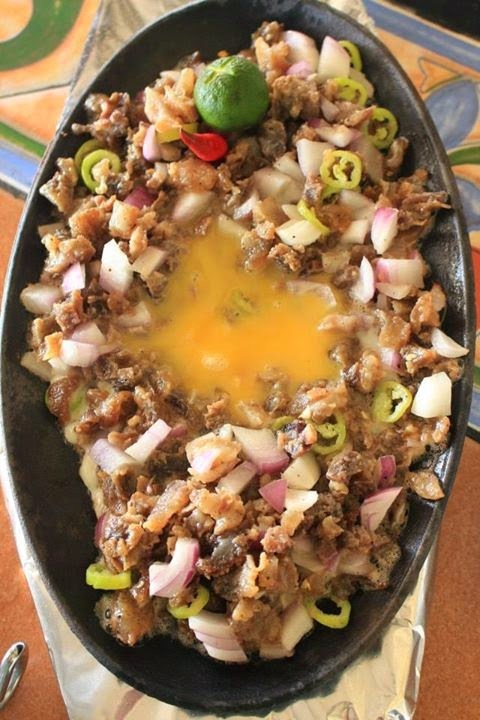 Who does not like Pork Sisig (P220)? I don't think anybody dislikes this dish as everyone was eagerly waiting to attack this dish since we were all waiting for all the dishes to be served before we can eat them. It was certainly worth the wait as it was the first one that ran out. I don't think I had a bite out of the Tuna Pasta as far as I can remember since I don't really like eating fish. However, my blogger friends raved about how it really fit their meat dishes. I think they were being original with the Wagyu Fried Rice (P220) as it was filled with wagyu bits. It was definitely the first time I ate fried rice mixed with wagyu and this one was a winner. 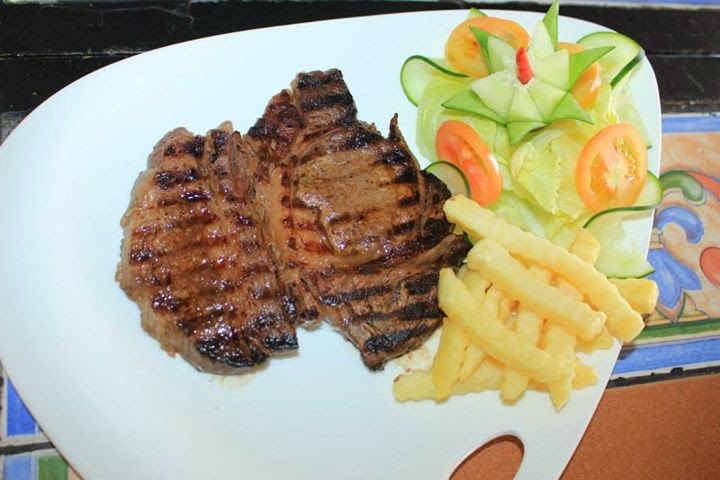 The specialty of the house is none other than the Wagyu Beef Porterhouse Steak (P1550). It was too small for me and that was because it was too good. You know that feeling when a steak is too big for you because it tastes bad? That certainly was not the case here because I loved this steak. 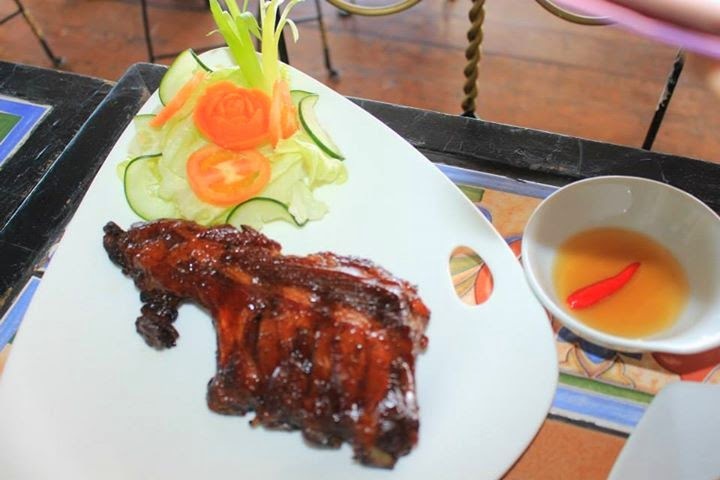 The Baby Back Ribs with House Salad (P390 half/P790 full) is one of those dishes that will make me want to come back. It was superbly cooked and I just could not get enough of it. After eating, we headed to one of the KTV rooms to sing. 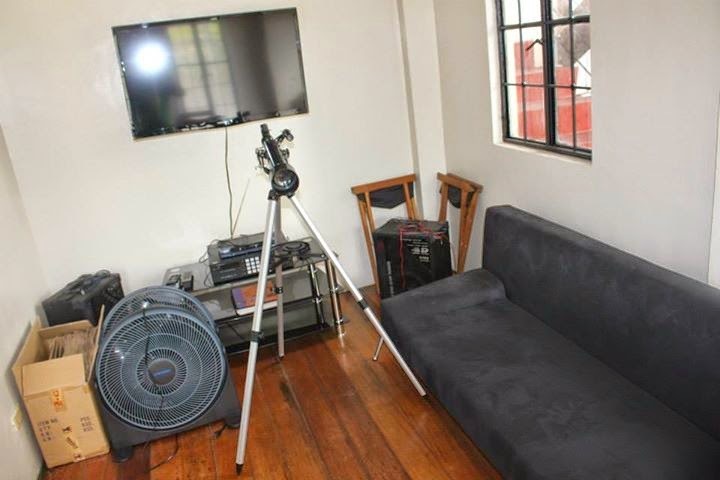 An hour here would cost you P1000 and it comes with pulutan and a bucket of beer or canned sodas. The room can actually fit 10 to 12 people which means it will be one rowdy scene. You can also play the PS4 and XBox that is in the room. All of us took turns singing our hearts off. We all had fun and I am sure anybody who will go here will have fun as well. In fact, not only are songs there but if you are not in the mood for singing then you can just sit back and watch some comedy skits or UFC fights. Did I mention the fact that I really LOVED their welcoming committee? With the scorching hot weather, it is the perfect time to try some new ice cream brands. 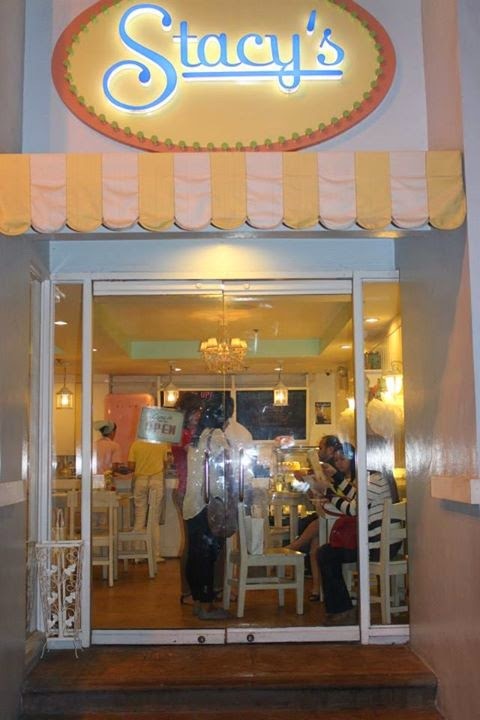 Blue Bell Ice Cream started in Brenham, Texas and they are now available in Cebu and Metro Manila. The most exciting part every ice cream lover wants to know are the flavors and they made some good choices with Homemade Vanilla, Butter Crunch, Chocolate Cookie Dough and Cookies and Cream available in half pint. The tasty flavors available in whole pint are Red Velvet Cake, Moo-llenium Crunch, Strawberries and Homemade Vanilla. 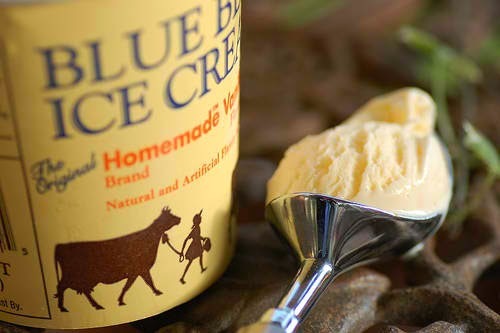 Head over to your nearest supermarket right now at and get a pint of Blue Bell Ice Cream. 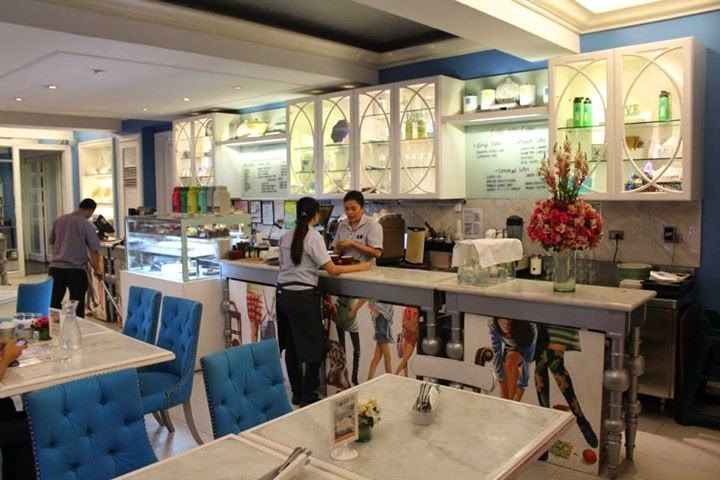 Blue Bell Ice Cream is available in Landmark, Rustan's and Robinson's Supermarkets. The ballots are now open as the next recipient of the Blessed Teresa of Calcutta award can now be nominated at the official Facebook page of the award. Anybody can be nominated as long as he/she has dedicated 25 years of his/her life to humanitarian work for the underprivileged Filipinos. Only completed nomination forms will be accepted so better double check if you have completed all the fields. The recipient of the award will be awarded P1 Million of cash grant and half of it will go to the charity of his/her choosing. This award is dedicated to the late Blessed Teresa of Calcutta better known as the The Living Saint because of all the humanitarian work she has done. The award was started in 1983 and is a joint project of the Alfonso Yuchengco Foundation and the Junior Chamber International Manila. I arrived at Chef's Noodle, Robinson's Magnolia just in time for the unveiling of its newest endorser, Sam Concepcion. Chef's Noodle is a dining destination for those who want delicious dishes crafted by none other than award winning chef Choi In Sun. 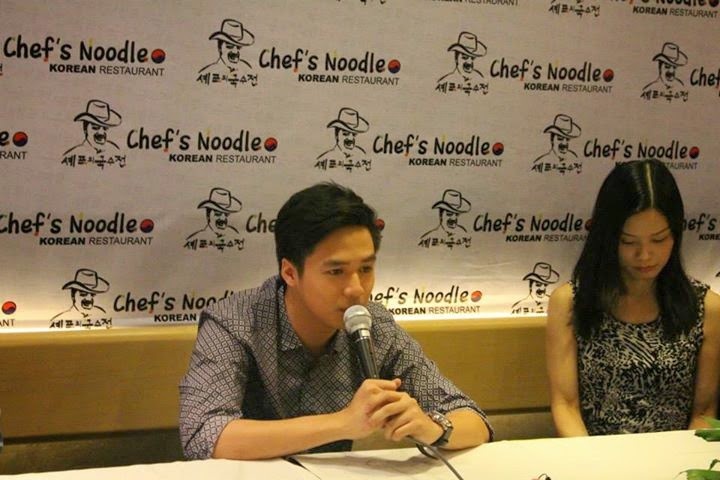 Sam Concepcion joins DJ Grace Lee and beauty queen Shamcey Supsup as the endorsers of Chef's Noodle. With this latest addition, they are definitely going for the youth movement in terms of their endorsers. During the interview, Sam revealed he loved everything about Chef's Noodle from the interiors down to the delicious food. 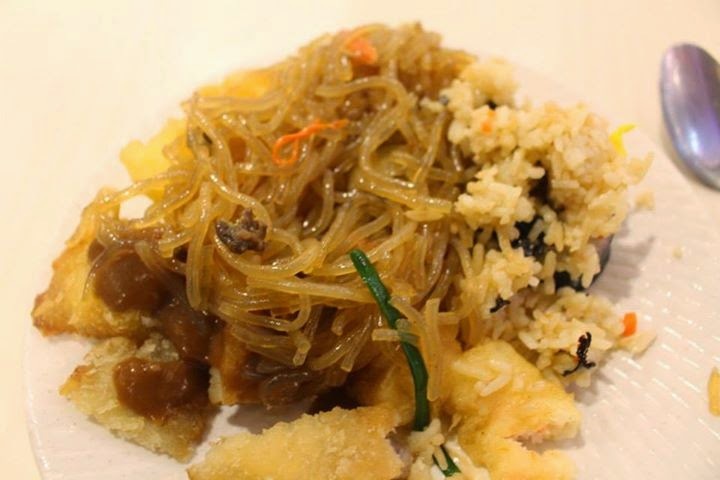 We enjoyed the hearty dishes of Chef's Noodle including Chicken Kas, Starking Fire Sushi, Japchae, Bibimbap and Leek Shrimp Twigim. 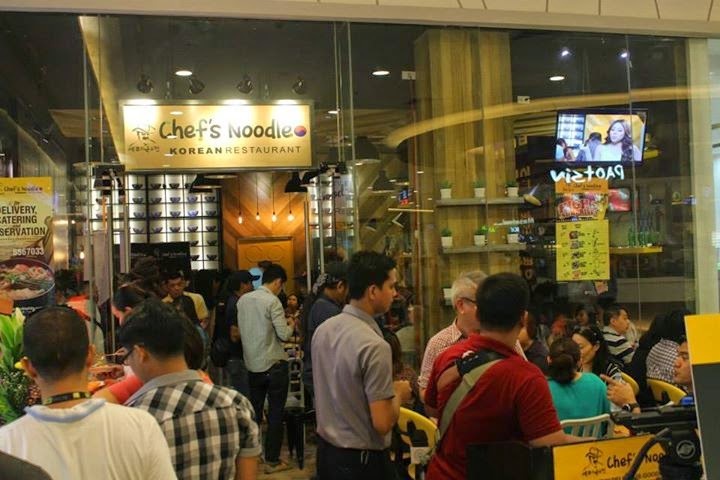 Chef's Noodle is a rising start in the food industry just like how its newest endorser is a rising star in the showbiz industry. 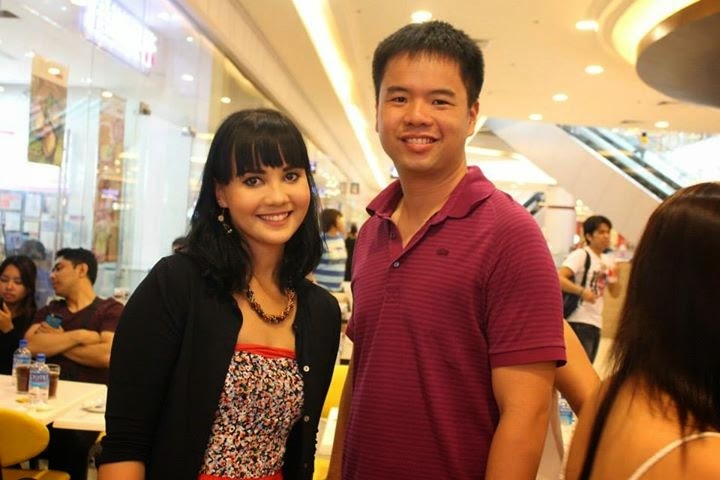 The event was hosted by Nikki Veron Cruz who plays Zooey de Leon in Ramon Bautista's funny show Tales from the Friend Zone. She is so cool and beautiful. I had such an inspiring meeting with Stacy's Restaurant & Cafe owners Abby and Angelica. Angelica is the designer who designer the whole restaurant while Abby is the food stylist who made all the recipes. 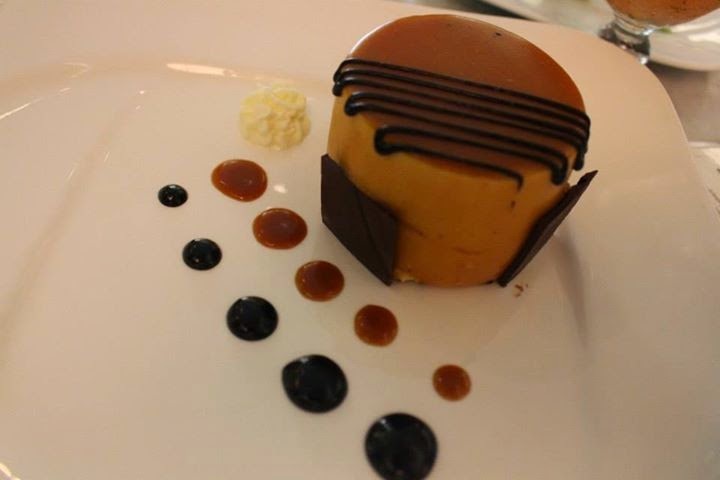 It is indeed a killer combination as the restaurant was designed beautifully and the dishes are all delicious. I have tried about 70% of their food so far and I have yet to be disappointed. 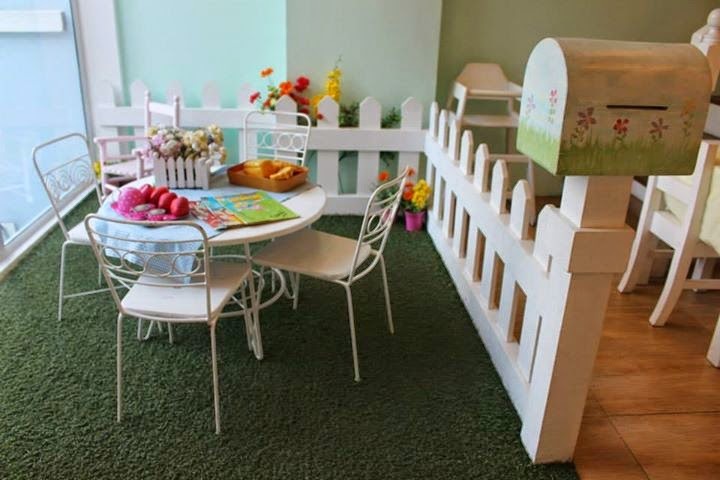 Don't afraid to sit on this miniature table set. Sometimes, couples sit here for their date nights. Stacy's got its name from the grandmother of Angelica. The restaurant really has that 1950's laid back feeling. When I first ate here, I knew that this is going to be one of those rare restaurants that I would come back to over and over again. I love it when a restaurant has delicious food and a relaxing ambiance. Stacy's has both of that and their servers are attentive to what the customers want. 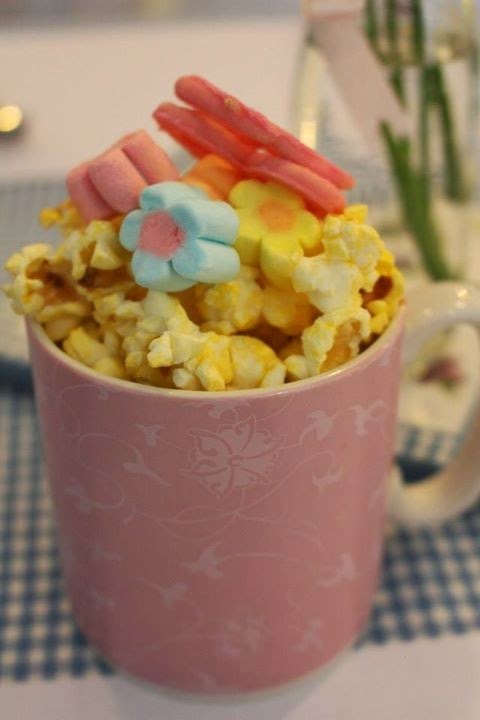 While guests are waiting for their food, they are given this mug of delicious popcorn. It is also worth noting that customers don't have to wait too long before their food is served which is always a plus. 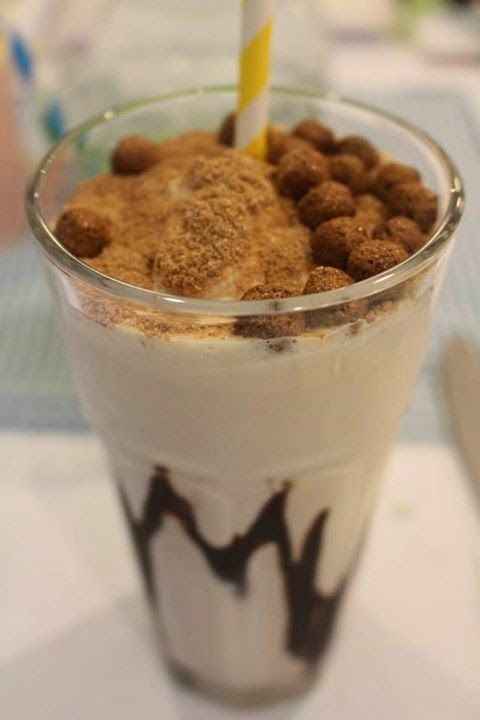 If you have yet to try the Malted Milo Milkshake (P108) then you are missing half of your life. I have tasted several versions of Milo Dinosaur before but never a Milo Milkshake. This is a must try for those with the sweet tooth. I was so glad I got to taste the Monkey Toasts (P165). 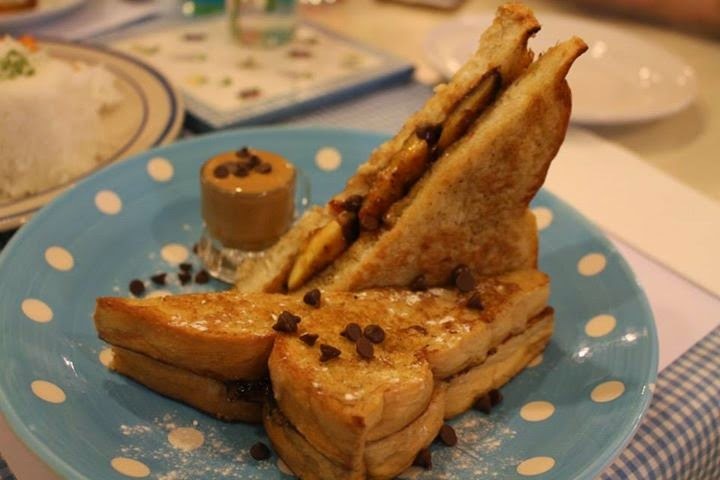 It was pretty addicting as it has a lot of tempting ingredients in it including peanut butter and caramelized bananas on cinnamon French toasts. I actually recommend this dish to start off the meal as it will play around with your appetite until the main courses come. Stacy Jones (P215) reminds me of my ex-girlfriend because I would want to be with her again every time I see her. The same holds true for their version of tapsilog as I would get envious every time I see a customer order this sumptuous dish. 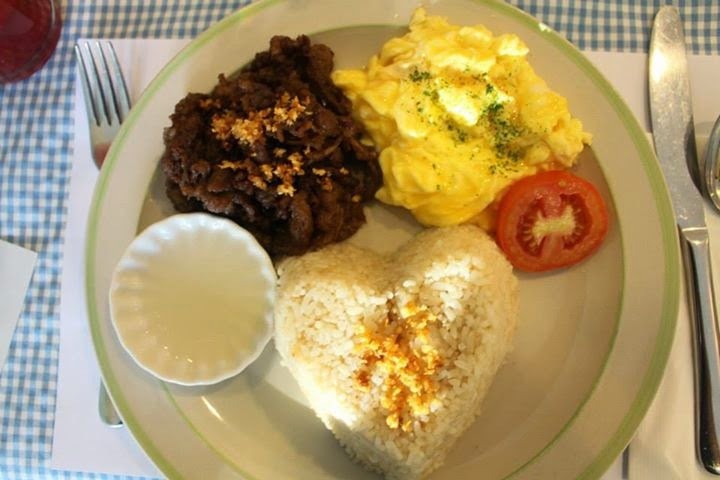 The heart shaped rice symbolizes how much they love their customers. 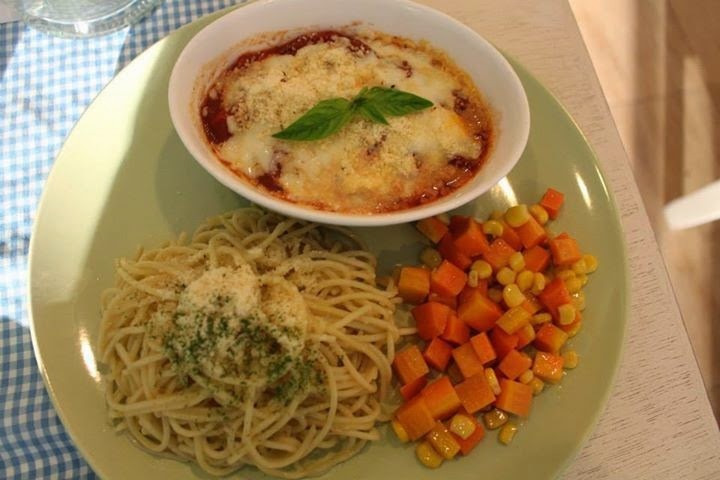 The Chicken Parmesan with Garlic Spaghetti (P260) is one dish I would crave for even when I am already full. It is really that good. Martha's Pot Roast (P285) was not that appreciated on this night and it was because I was too full. The slices of beef sirloin mixed with their peppercorn gravy is a real winner and I won't hesitate ordering this one when I come back. 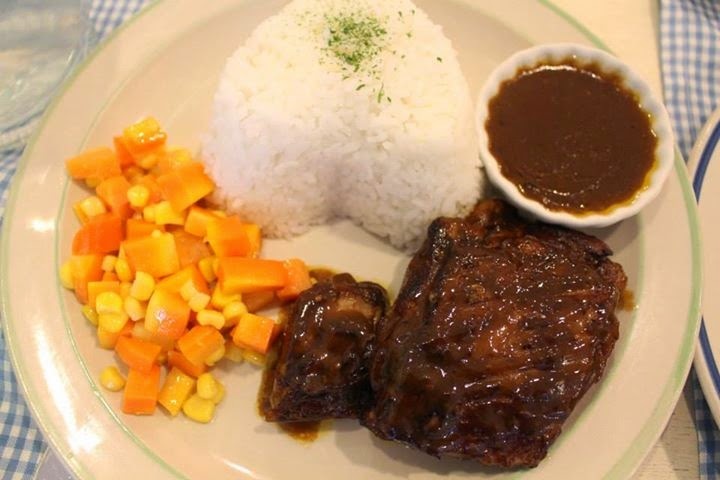 The Texas Barbeque Ribs (P255) is going to take longer than usual because it is slow cooked country style ribs mixed with their homemade barbeque sauce. 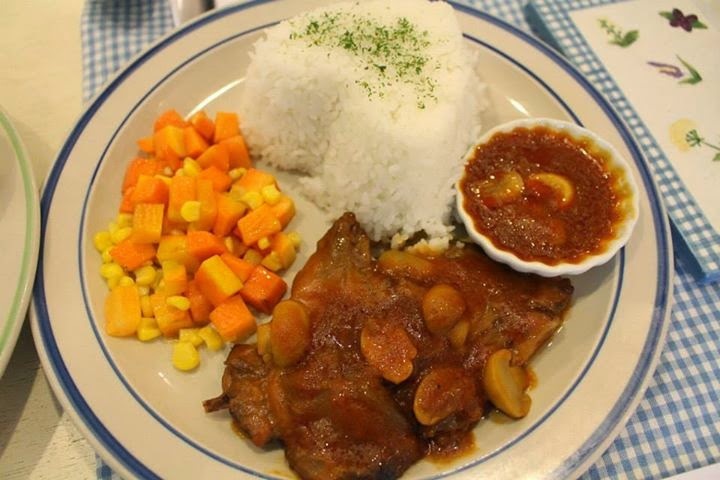 I really love barbeque ribs and their version just made me love this dish even more. 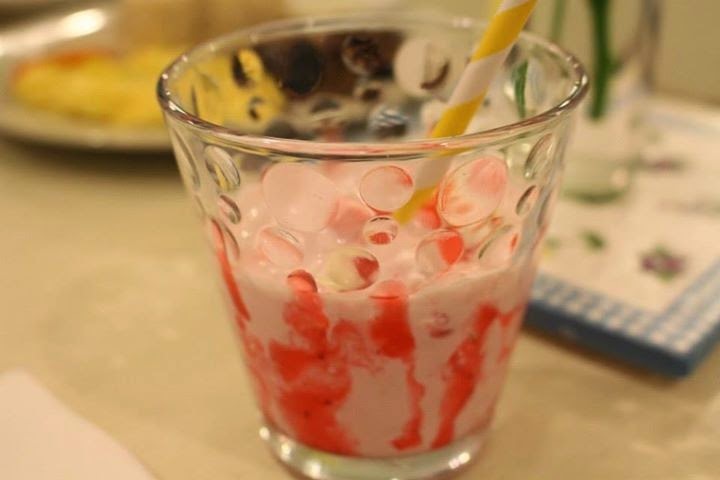 I am not a fan of strawberries so I just took a sip off their Pink Strawberry Milkshake (P98) and I was mighty impressed. This is not the actual size though as it was divided into two. Oh my! 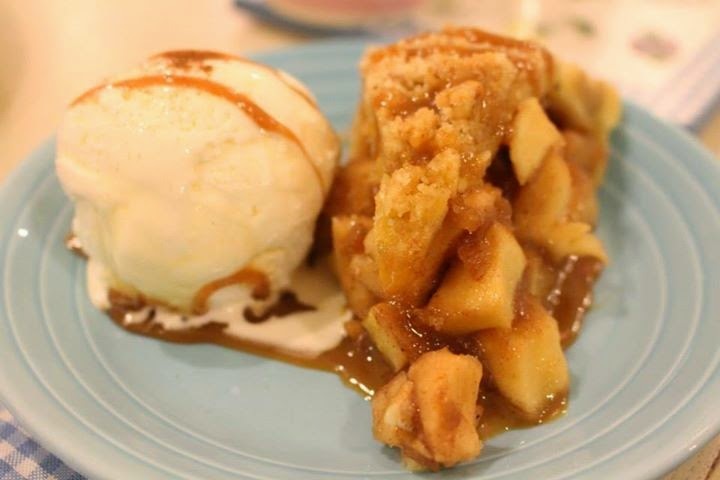 Who doesn't like Apple Pie (P145)? I know I do and this one comes with a scoop of Vanilla Ice cream which makes it even better. 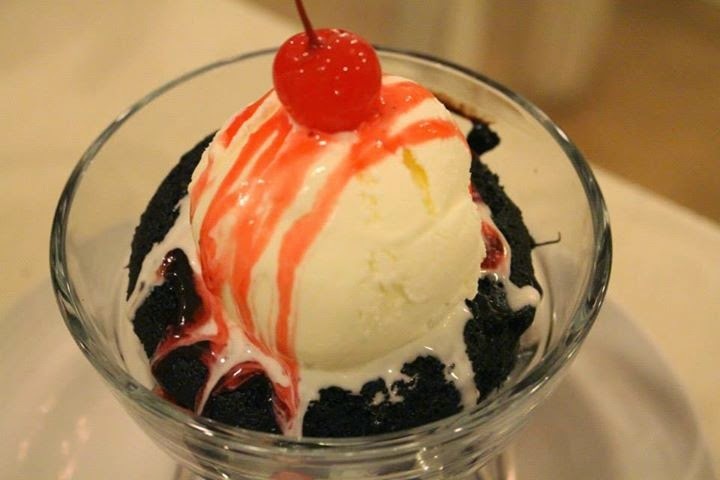 Chocolate lovers will surely love their Choco Lava (P145). I am not actually a chocolate lover but it made me dream that I was in chocolate heaven. This also comes with a scoop of Vanilla ice cream with that lovely cherry on top. Join part 2 of my birthday giveaway to win P1500 Stacy's GCs. I am giving away P1000 worth of travel voucher that you can use for any of the travels of Route +63. All of their travels are a great experience as you get to explore the country and meet new amazing people at the same time. In order to check out their list of upcoming trips, check out their official website. Bag O' Shrimps started when Princessita Sunga-Pastoril hosted cookouts for her friends in the States. She loved seafood so those cookouts always contained shrimps, clams and crabs. 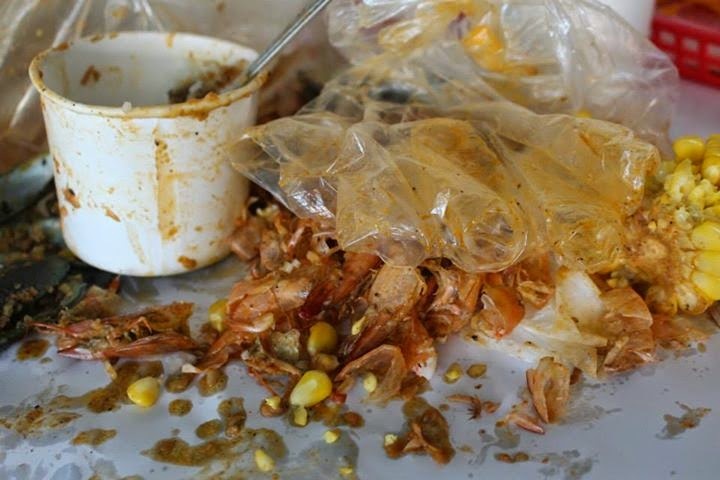 She decided to bring that concept in the Philippines and together with the support of her husband Jandrew Pastoril, Bag O' Shrimps was born. 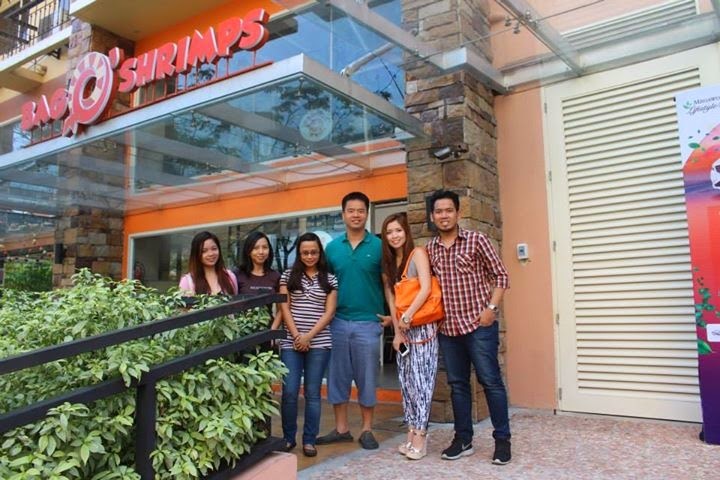 Despite the amount of shrimp themed restaurants popping up all over the metro, their restaurant would always attract long lines especially from Fridays to Sundays which is why they decided to stop accepting reservations. 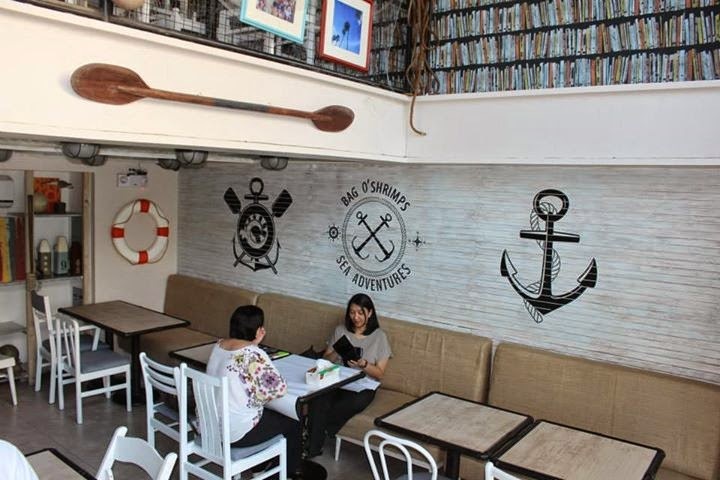 They are a seafood themed restaurant in the area is required to have a different theme from the rest. They plan to put desert soon which would consist mostly of cupcakes. Believe it or not, both Princessita and Jandrew did not have any culinary background prior to the opening of the restaurant. That prompted the family members of Princessita to ask them if they are just playing around. I guess when you are gifted then you are gifted. 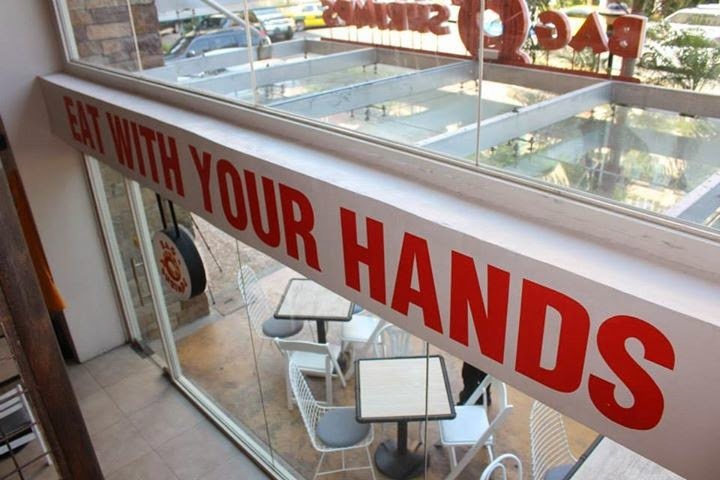 Just like what is written there, it is indeed better to eat with your hands here which is why they provide plastic gloves and apron. They are also aware that the table will get messy so they put a big paper place mat before everyone digs in. The interiors of the restaurant were awesome as I felt like we were inside a pirate ship. Shiver me timbers! Another thing I noticed is that their imported beer is cheaper than their neighbors. The difference is not even small but a gap of P80-100. 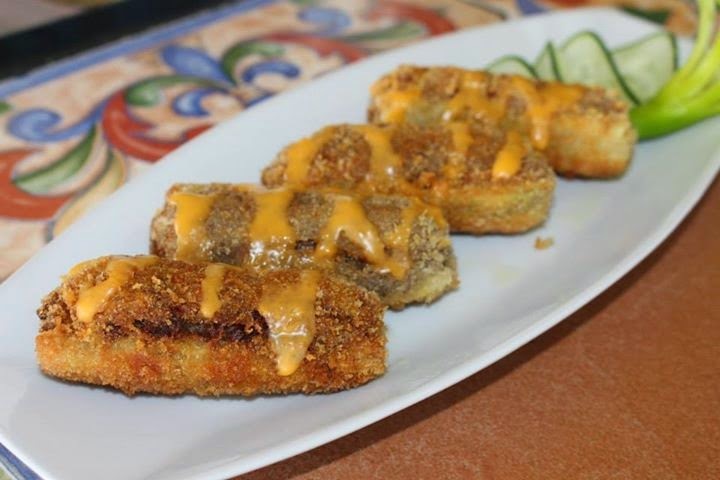 One of their best sellers is the Crab Bomb Stick (P185). 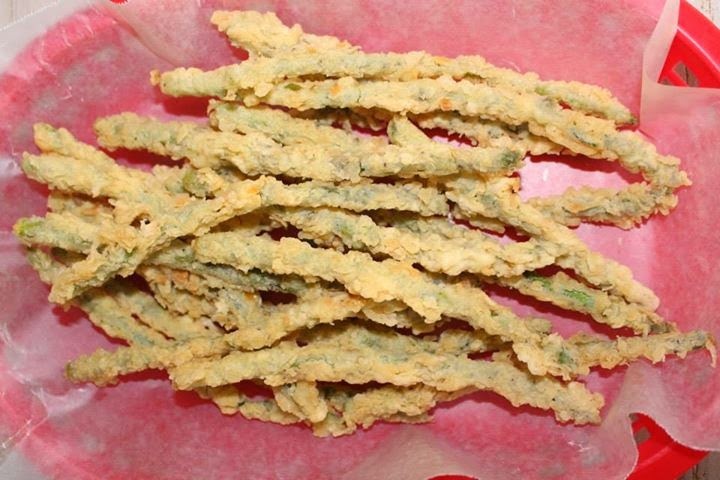 The combination of jalapeno, cheese sticks and crabstick is just too hard to resist. 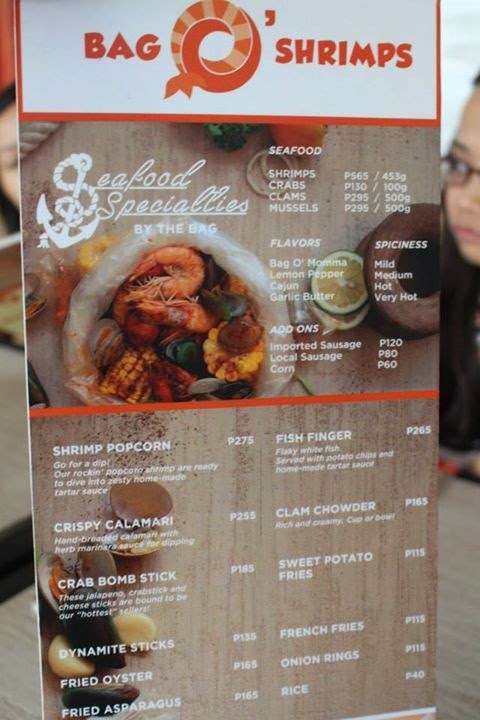 The Sweet Potato Fries (P115) goes best with the shrimps, crabs and other seafood. It was finally time for the main event. 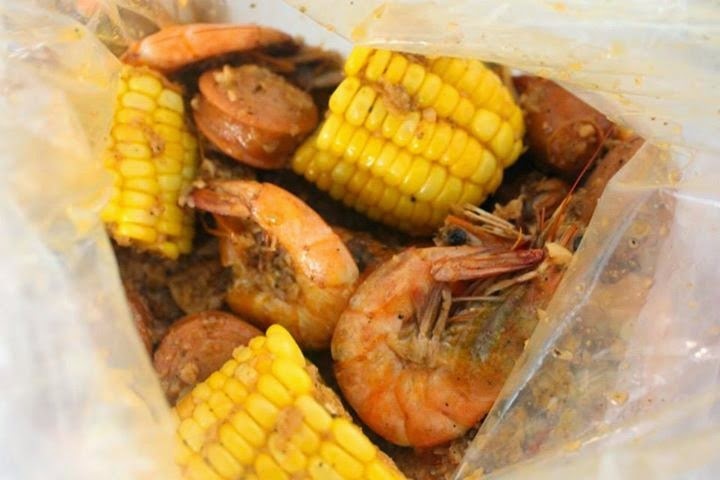 This Bag of Shrimps (P565/453 g) was loaded with imported sausage (+P120), local sausage (+P80) and corn (+P60). They also let you control the spiciness as this one was Bag O' Momma (Mild). We had another bag of this and its spiciness level was Lemon Pepper (Medium). I have a low tolerance on spicy foods so that was good news for me. It was a good thing the other bloggers who were with me just kept on talking as they failed to notice I ate most of the shrimps. I have tasted a lot of shrimps in various restaurants and I must say Bag O' Shrimps has by far the best. Tip: Instead of eating rice, eat corn as it is the healthy alternative and goes really well with the shrimps. Oh my, talk about a goodie bag. 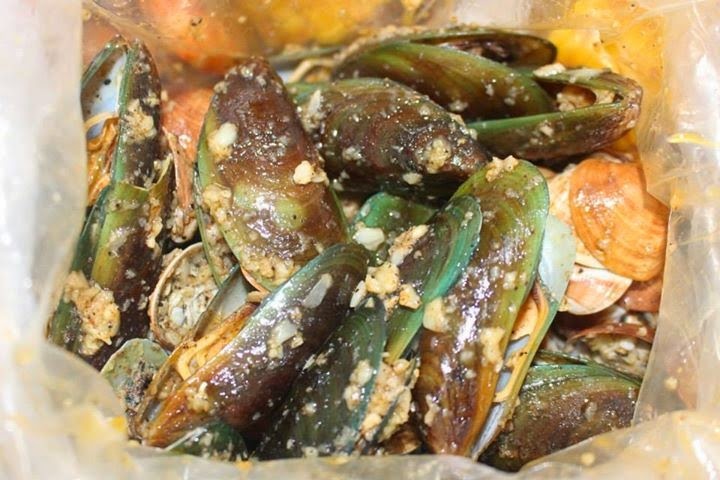 This bag was filled with Clams (P295/500g) and Mussels (P295/500g). The spiciness level was Garlic Butter (Very Hot) and I was not aware of that which is why I was sweating so bad after eating it. It's alright though since the clams and mussels were really good. I was never a fan of clams but Bag O' Shrimps made me a fan. 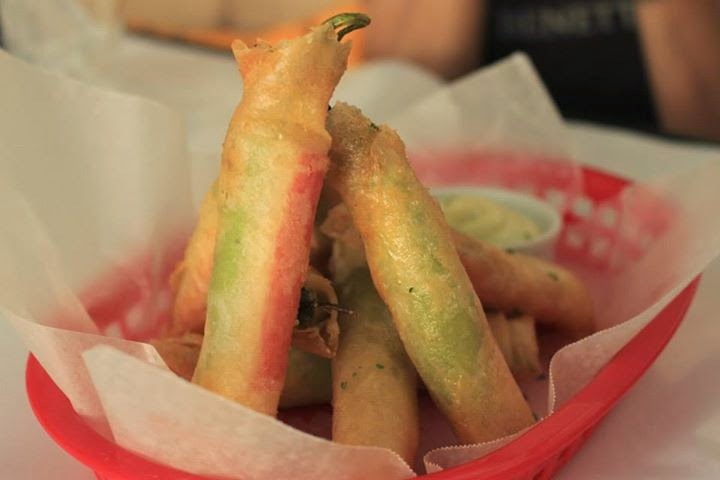 The vegetables inside the Fried Asparagus (P165) are all fresh. They are all bought from the market on the same day it was made. They are never more than a day old. The best part about it is that it is unique as I haven't seen any other restaurant have something like this yet. Their food was so good that I did not notice I ate that much. It was my first time taking an aftermath picture of the food I devoured since I did not want anybody to know I eat that much. I must also confess it was my first time to eat using my hands. It was like trying something new and I enjoyed it a lot. Cafe 1771 has the makings of a good coffee shop. It has high speed Internet connection, good service and good food. What more do you want? 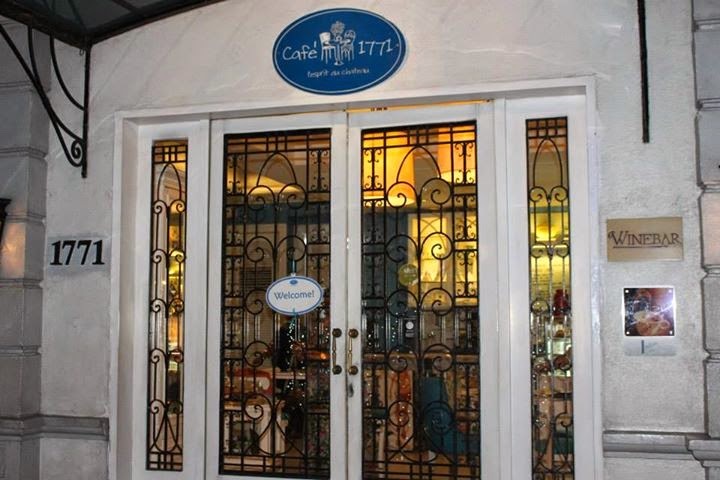 If you are tired after a day in the office in Ortigas then this is your place to unwind with your friends. They have such nice interiors and comfy chairs. It is easy to enter this place but hard to get out since the place is very welcoming. They also have a function room for meetings. 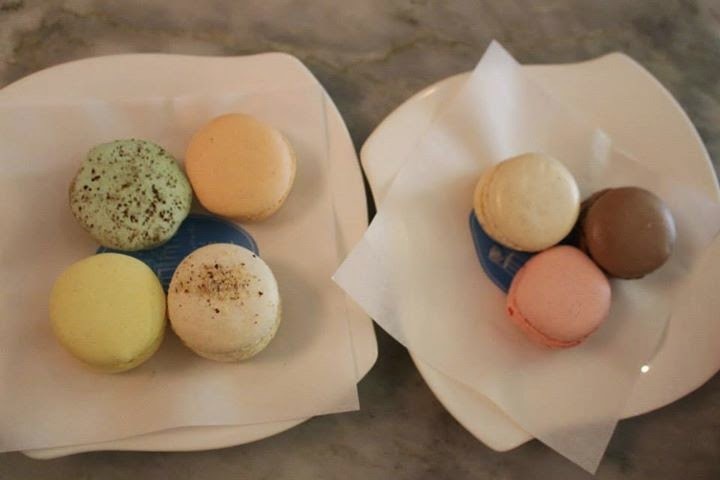 I have never been much of a fan of Macaroons so I was hesitant at first to try their Macaroons. It was a good thing I did though as their wonderful flavors of Blueberry, Chocolate, Hazelnut, Coffee, Lemon, Mint, Orange, Pistachio, Strawberry and Vanilla were really impressive. I love bread pudding and this one had my favorite ice cream flavor Vanilla all over it. It has Vanilla ice cream on top of it and it is topped with Vanilla custard flavors. This dessert is one for the ages. 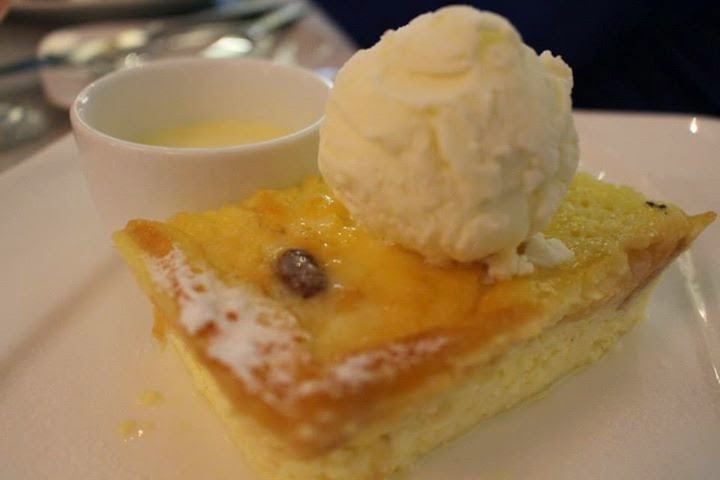 This is Cafe 1771's best seller and we found out the reason why. 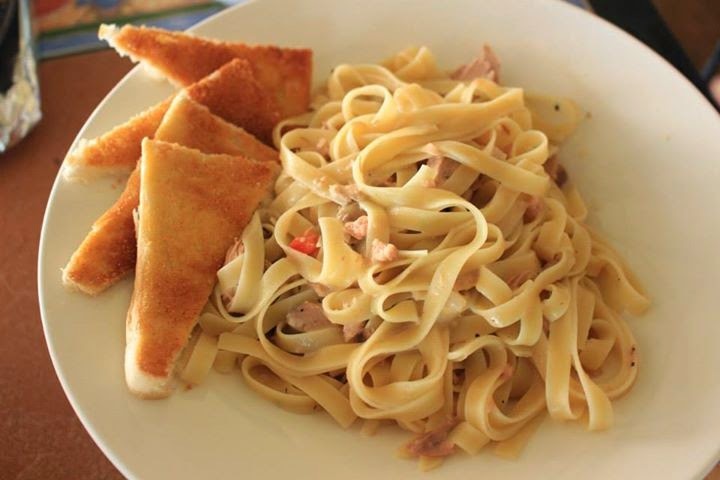 It is the same dish that will keep you wanting to come back for more. 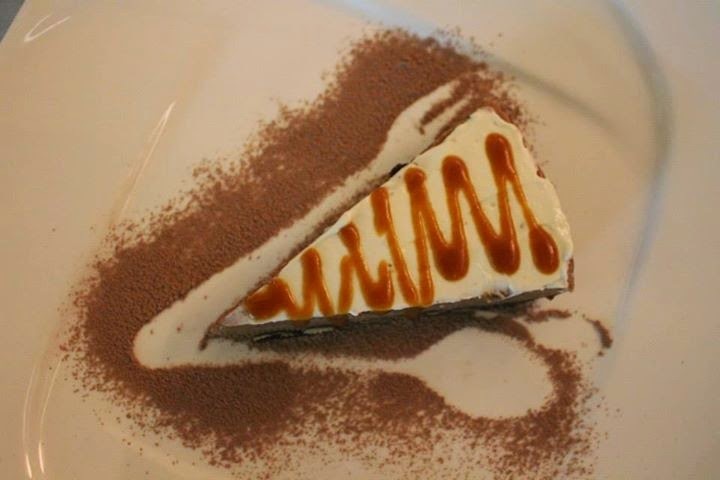 It has that irresistible coffee filling on chocolate-cashew crust with cream topping and toffee sauce. I'm not a fan of chocolate so I failed to taste this one but the blogger who finished it was more than satisfied. It's got layers of chocolate mousse, chocolate ganache and chocolate biscuit. If that does not get a chocolate lover excited then I don't know what will. 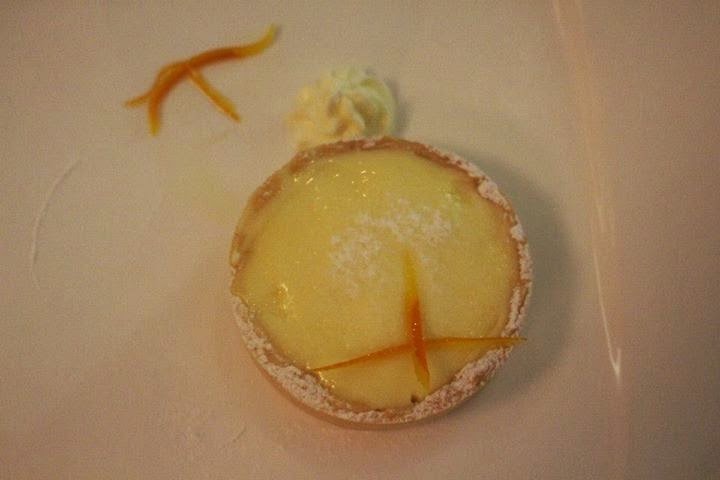 Last but certainly not the least, this tart carried one heck of a flavor as it has that addicting lemon cream in a crisp tart. 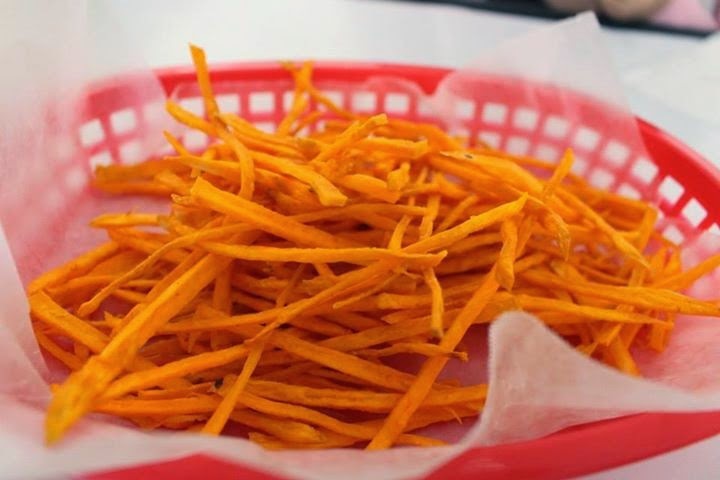 Your eyes will light up once you get a bite out of this.